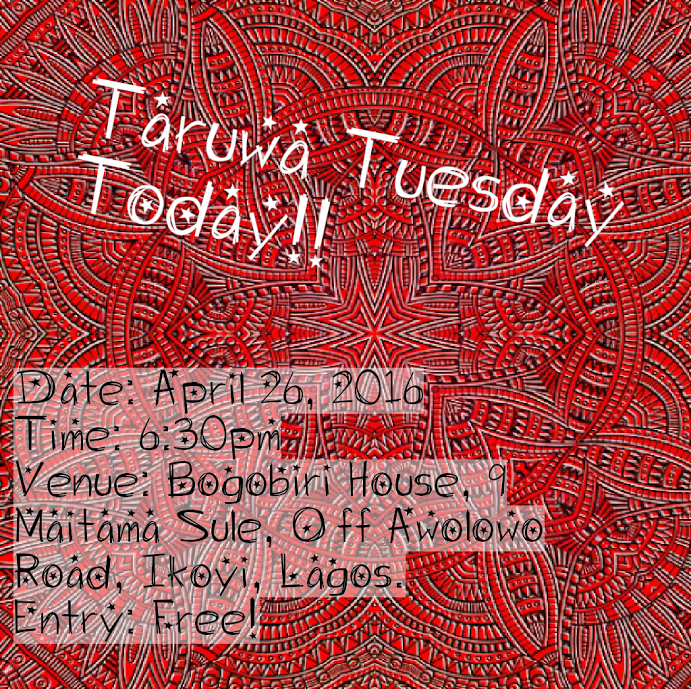 We’re excited about this evening [we’re always excited about TARUWA evenings actually]. ? There will be live performances in music, spoken word and more, and our hilarious inhouse MC Oluwabibs will be on hand to bully you crack you up and take ?your minds off your worries. Don’t be Selfish ?. Share the good news and spread the word on Instagram, twitter, facebook, BBM, Google+ and all your social media pages.